2016 LEHIGH VALLEY BUILDERS ASSOCIATION TOP AWARD BEST CUSTOM HOME OVER $1,000,000 ! For 40 years we have been setting the standard in the Lehigh Valley for custom homebuilding and we continue to create some of the most unique and spectacular homes throughout the Valley. It begins with our ability to listen to and understand our clients needs, then building them the home that not just expresses their dreams but perfectly blends with their lifestyle. We can build on your homesite or choose from our beautiful properties available at our newest enclave, Newport Ridge located at 1511 Black River Road in Saucon Valley, Bethlehem Pa 18015 Our goal is to use our collective skills, knowledge and proven track record of building finely crafted and beautifully designed homes at an exceptional value. We create homes that win awards by designing functional and unique home plans then masterfully building them to completion. Many of our projects, both residential and commercial, have won top design awards over the past 29 years through the Lehigh Valley Builders Association. We have won over 25 Industry Awards. Our homes have been featured in numerous publications including Lehigh Valley Style magazine and Morning Call feature stories. We were honored by having one of our luxury homes, Barrington Manor, selected as the featured home by the internationally recognized Dream Builders Show which aired on HGTV Television Network! While maintaining a remarkably modest profile, we have built a portfolio of projects that include many of the area’s finest estate homes. In an industry dominated by subcontractors, we have chosen to maintain an in-house crew of highly skilled carpenters, while working on no more than a few projects at any given time. This business model provides the highest level of control with regards to project quality, scheduling and cost. Throughout the years, our unique ability to recognize emerging trends in housing, technology, and lifestyles, and incorporate them in our designs has been a key to our success. For Allentown residential home builders who also act as developers, the job starts well before the first nail is driven. They perform local market research to determine whether the prospective homesites make sense in the Allentown, PA market, as well as survey the land on which the house will be built to make sure it is suitable for construction. 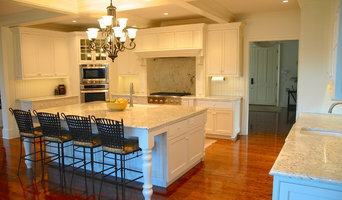 Custom builders also obtain the necessary permits. 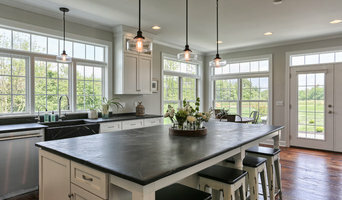 A good custom home builder in Allentown, PA has skills that go far beyond construction — he or she must supervise subcontractors and artisans; keep tabs on local zoning regulations, building codes and other legalities; inspect work for problems along the way; and perform dozens of other roles that are essential in building a quality house. Here are some related professionals and vendors to complement the work of home builders: Interior Designers & Decorators, Landscape Architects & Landscape Designers, Architects & Building Designers, Kitchen & Bath Designers, Specialty Contractors. House builders are responsible for ensuring that the home-building project sticks as closely as possible to the specified timetable, particularly in the event of change orders. Custom and luxury home builders in Allentown, PA also need interpersonal skills to deal with clients of all types, soothe frazzled nerves, negotiate conflicts and resolve problems. 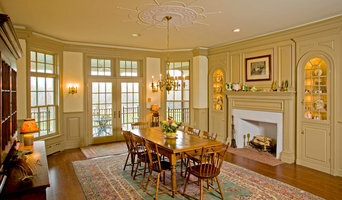 Find custom home builders in Allentown, PA on Houzz. 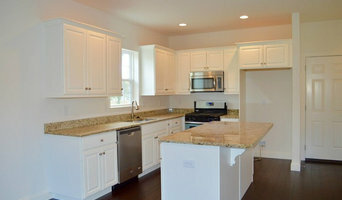 Narrow your search in the Professionals section of the website to Allentown, PA home builders. You can also look through Allentown, PA photos to find a house you like, then contact the builder who worked on it.